Buckminster Fuller, Golfball Radomes, 1954. 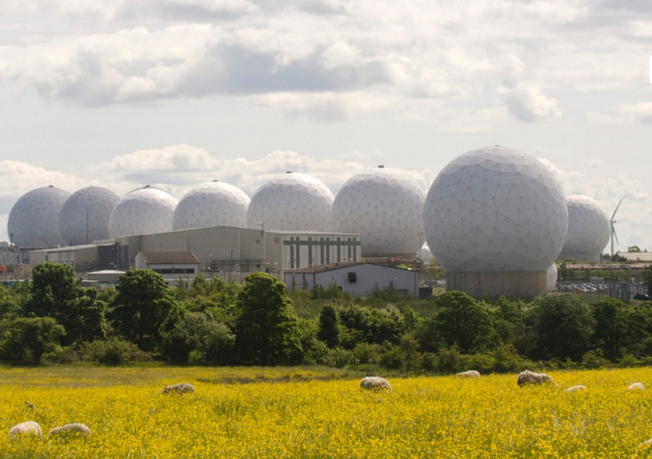 The Radomes here are ground stations housing antennae for satellite surveillance at RAF Menwith Hill, England, the largest electronic communication monitoring station in the world, operated by the US National Security Agency (NSA). If ever there is a moment to reassess the techno-utopian drive to exceed the envelope of Earth, now is that time. In particular, a reconsideration of the space age is taking place in contemporary art. Artists such as Jane and Louise Wilson, Connie Samaras, and Trevor Paglen have employed film or photography to explore the sites on Earth where older space programs once thrived, and to document new sites where private, corporate, or secret space programs are located. 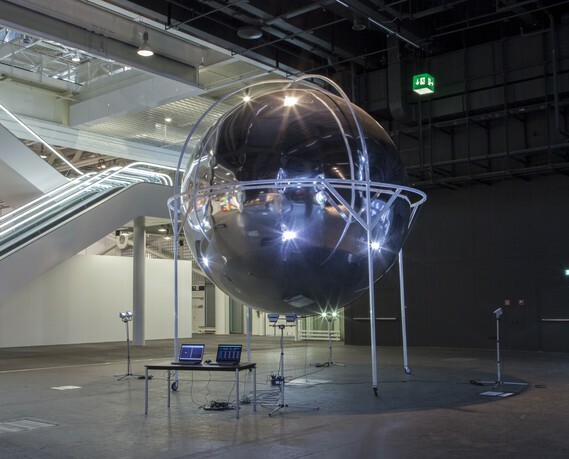 Other artists such as Mary Mattingly, Tomas Saraceno, Tom Sachs, Matthew Day Jackson, Hito Steyerl, and Alexandra Mir are producing work, as R. Buckminster Fuller did, prototyping new architectures for space travel and exploration, positioning artistic practice as a new kind of public science in which research and experimental procedures are made explicitly visible. Yet unlike in Fuller's work, these recent projects register an elegiac sense that the era of space exploration as a humanistic program of knowledge acquisition, interspecies communication, and even intergalactic colonization—in short, the epoch of cosmic optimism—has receded if not ended. Eva Díaz is associate professor in the History of Art and Design Department at Pratt Institute. Her book The Experimenters: Chance and Design at Black Mountain College was released last year by the University of Chicago Press. The project examines how an interdisciplinary group of artists proposed new models of art practice around the concept of experimentation, and focuses on three key Black Mountain teachers in the late 1940s and early 1950s: Josef Albers, John Cage, and R. Buckminster Fuller. Díaz's writing regularly appears in magazines and journals such as Aperture, the Art Bulletin, Artforum, Art Journal, Art in America, Cabinet, The Exhibitionist, Frieze, Grey Room, October, and Tate Etc. She is currently at work on a book about the legacy of Buckminster Fuller's work, The Fuller Effect: The Critique of Total Design in Contemporary Art.